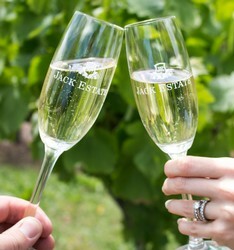 Located in the heart of Coonawarra’s Premium Wine Region is Jack Estate - one of the regions up and coming wine producers. Jack Estate is a family owned and operated winery, passionate and dedicated to growing and producing premium quality wines that showcase the very best of Coonawarra’s prime ‘terra rossa’ soil. As our motto states, we believe it is important to respect traditional winemaking techniques while creating premium wines for wine lovers to enjoy long into the future. We are delighted to share this wine with you. Free Delivery on 12 bottles or more. The Jack Estate Wine Club offers convenience with benefits.